Late last week, Moran was abruptly fired from her management job at a St. Paul, MN, Chipotle after a man named Masud Ali tweeted out video that showed her refusing to serve Ali and his four friends, all of whom are black. In a surprisingly good-natured way, she tells the group, “You gotta pay because you never have money when you come in here.” A little later in the video, another Chipotle employee seconds that. “We’re not gonna make food unless you guys actually have money,” he says. For the next five minutes or so the group complains about being stereotyped and taunts the staff. He followed this up with an even harsher tweet. Chipotle quickly fired Moran and tweeted Ali to let him know. After Chipotle fired her, Ali still wasn’t satisfied.”You terminated her but not her sidekick? Hmmmm interesting. Just because you “retrain” someone doesn’t make them less racist I hope y’all know that,” he tweeted. But within 24 hours of the chain restaurant’s reactionary decision, it was discovered that Moran had good reason not to serve Ali and his friends. Just days before, according to Fox News, a member of this same group pulled what’s known as a “dine and dash,” where the customer takes off without paying for the food. What’s more, thanks to everyday people on Twitter who did some looking, and before he could delete then, a number of Ali’s tweets bragged about his “dine and dash” habits, including at Chipotle. 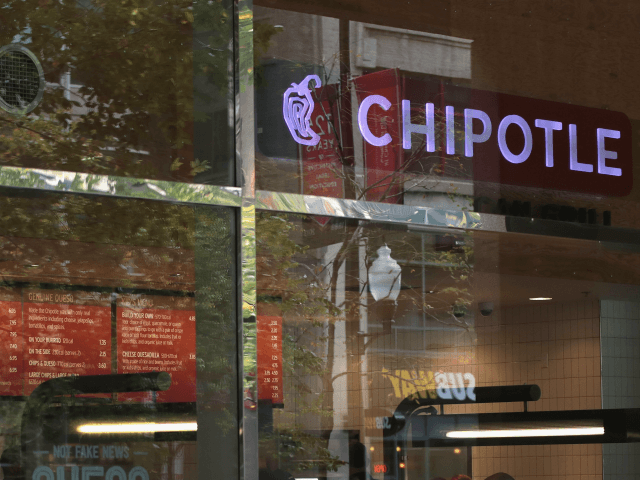 Chipotle has now offered to rehire Moran. According to the Minneapolis Star Tribune, Moran has not yet decided if she wants her job back and said that she was only standing up for her employees.